Cristiano Ronaldo is reportedly eager for Juventus to beat his old club Real Madrid to the transfer of Bayern Munich defender David Alaba. The Austria international is one of the top defensive players in Europe, whether he’s playing centre-back, left-back or a holding role in midfield. It’s easy to see how Alaba could be a great addition at Juventus, and Don Balon claim Ronaldo has requested the signing of the €80million-rated star. This would undoubtedly be bad news for Real Madrid, who look in urgent need of rebuilding in several areas after the blow of Ronaldo’s departure this summer. The generation that won four out of the last five Champions League finals looks to be past its peak, and someone like Alaba could have been a great starting point for them to revamp their squad. 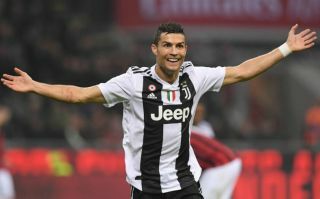 However, Juventus have been an increasingly dominant force in the transfer market in recent times, as showcased by their ability to sign Ronaldo. The presence of the Portuguese superstar may now aid them further as he reportedly recommends signings, with players like Alaba likely to be increasingly lured to Turin by the prospect of playing alongside the 33-year-old front-man.